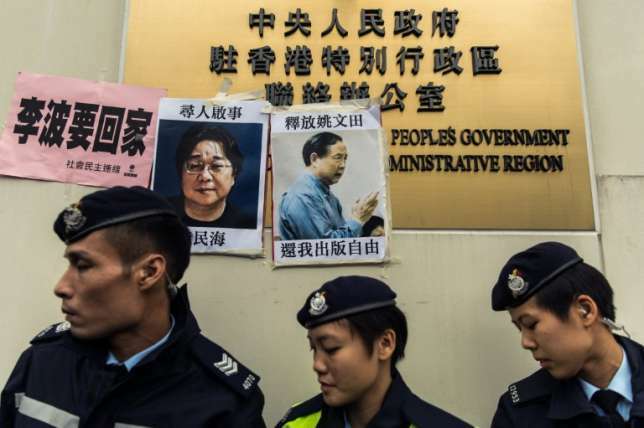 The US on Saturday expressed deep concern about the case of Hong Kong book publisher Gui Minhai, allegedly snatched by Chinese police while being accompanied by Swedish diplomats. The United States on Saturday expressed deep concern about the case of Hong Kong book publisher Gui Minhai, allegedly snatched by Chinese police while being accompanied by Swedish diplomats. His disappearance has sparked a diplomatic row between Stockholm and Beijing. “We are deeply concerned that Swedish citizen Gui Minhai was detained on January 20,” State Department spokeswoman Heather Nauert said in a statement. Gui’s daughter Angela Gui has said he was detained by around 10 plainclothes police while on a train to Beijing from the eastern city of Ningbo, where he was living, while accompanied by two Swedish diplomats. He was going to see a Swedish doctor, she said. On Wednesday the European Union ambassador to China called for Gui’s immediate release. “The United States and our European partners are bound by shared principles of liberty, equality, and human dignity,” Nauert said. Gui was one of five Hong Kong-based booksellers known for salacious titles about the lives of China’s political elite. This is the second time he has been snatched. He first went missing in 2015 while on vacation in Thailand and later resurfaced at an undisclosed location in China. Chinese authorities said they had released Gui in October.